It's been a bad week for Conn's (CONN). The electronics and home appliance retailer reported a quarterly loss, withdrew its 2015 profit forecast and said its chief financial officer had resigned as its mainly low-income customers struggle with credit payments. Conn's shares fell 36 percent to a near two-year low of $22.29 in early trading on Tuesday. Up to Monday's close, Conn's stock had lost more than half its value this year. The company said the loss reflected "a more difficult credit collection environment." Stagnant wage growth and higher food costs have crimped the purchasing power of lower-income families, forcing many to buy on credit that they have difficulty managing. Conn's said in October it would consider selling itself or separating its lending business as part of a strategic review. The company said on Tuesday it was "actively engaged" in preliminary talks with several parties. 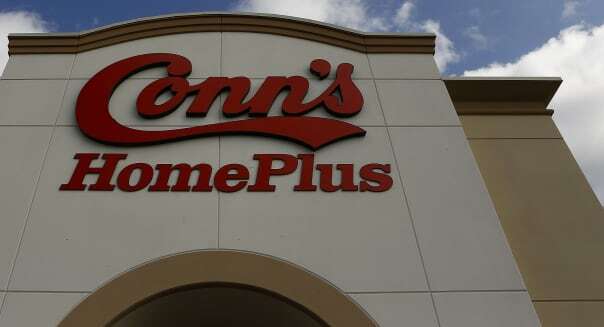 Conn's also said it had established a credit risk and compliance committee to oversee credit risks, underwriting strategy and credit compliance. The company reported a net loss of $3.1 million, or 8 cents per share for the third quarter ended Oct. 31, compared with a profit of $24.4 million or 66 cents per share a year earlier. The retailer's lending business lost $33.2 million on an operating basis, compared with a profit of $10.4 million in the same quarter last year. Provision for bad debts more than tripled to $72 million. The Woodlands, Texas-based company reported revenue of $370.1 million, falling short of analysts' average estimate of $376.8 million, according to Thomson Reuters I/B/E/S. Conn's said Chief Accounting Officer Mark Haley would serve as interim chief financial officer to replace Brian Taylor, effective immediately.